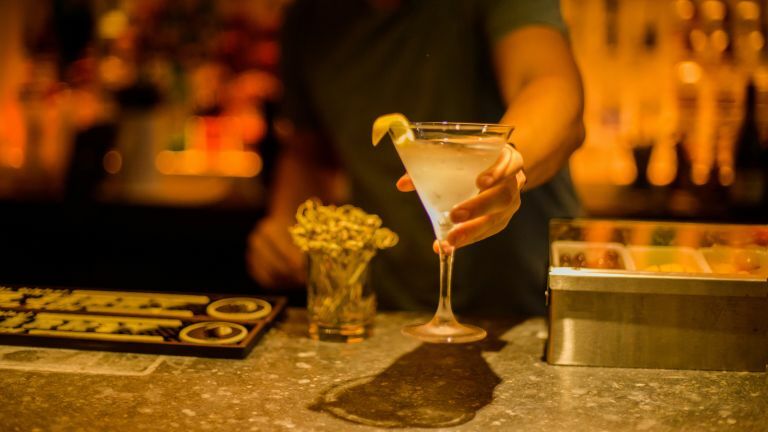 With Dry January turning to Drinking Relatively Responsibly February, we've teamed up with Michal Golecki, Head Mixologist at Studio Bar at K West Hotel & Spa to give you the low-down on making the very best cocktails in your gracious home. Or on a park bench or bus shelter, or whilst sprawled in a gutter; we don't judge. As Michal says, “The Tequilita Sunrise is easy to mix up at a moment's notice, beautiful to look at, and deliciously fruity”. 50ml Tequila; 50ml orange juice; 10ml Grenadine. Pour the tequila over ice in a tall glass and top with orange juice and add the grenadine Add more grenadine for a sweeter flavour. Garnish with a slice of orange or grapefruit. Here's our roundup of the best tequila to buy. "The Caipiroska cocktail is a Russian twist on the well-known Brazilian cocktail caipirinha," says K West's mister Golecki. Muddle all of the ingredients together, and pour over ice into a rock glass or tumbler. Garnish with a couple of raspberries. If you like your cocktails on the sweeter side, you can always top up with lemonade. Here's our roundup of the best vodka to buy. Michal says: “This delicately coloured, refreshing take on the classic gin and tonic makes this the perfect beverage for spring." 50ml Gin; 25ml elderflower cordial, 15ml fresh-squeezed lime juice, tonic. Shake ingredients together with ice cubes and strain into a tall glass, top up with tonic. Garnish with a lime wedge. Here's our roundup of the best gins to buy. Squeeze the lime into a highball glass over ice. Add the double shot of rum and then fill the glass with Coca-Cola. Stir and add a quarter of the lime. K West Hotel & Spa is on Richmond Way, London W14 0AX. For reservations, call 020 8008 6600.